Canadian consumers collectively owe more than $1.5 trillion! Canadian consumers continue to pile on debt and now collectively owe more than $1.5 trillion, according to the latest figures from Equifax Canada. 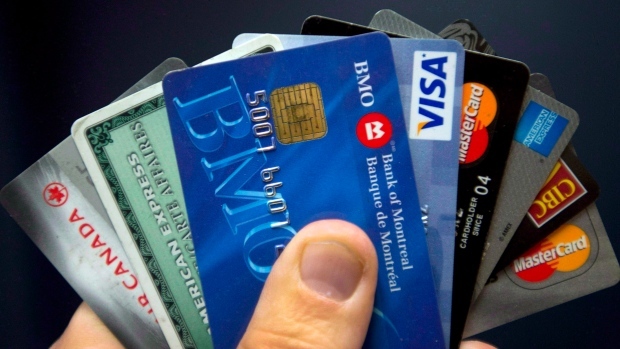 The consumer credit rating agency says the level of consumer debt at the end of the third quarter was up 7.4 per cent from $1.409 trillion a year ago, with non-mortgage debt held by Canadians now standing at an average of $20,891. The auto loan and instalment loan sectors showed the most significant increases, at 6.8 and 5.8 per cent year-over-year respectively. "Following a frenzied start to the festive shopping season with more to come in the countdown to Christmas, we can expect the consumer debt to rise even further," said Regina Malina, senior director of decision insights at Equifax Canada. Despite the increase in debt, the delinquency rate -- defined as bills more than 90 days past due -- remains on a downward trend and now stands at just 1.1 per cent, Equifax said. "While the debt numbers are worrisome, it's certainly positive to see delinquency and bankruptcy rates inch down each quarter," said Malina. "The fact is, while debt figures have gone up, they have increased at a slower rate in the third quarter with most Canadians seemingly still spending within their means." Equifax said the increase in consumer demand for new credit has been driven mainly by credit card and auto credit inquiries. As well, demand for consumer credit has now increased for six consecutive quarters in the West, while activity in the Eastern provinces continues to slow.